Why give the gift of one bouquet for Valentine’s Day or Mother’s Day when you can give the gift of 10 weeks of beautiful flowers, grown right here on our sixth generation farm in East Tennessee? 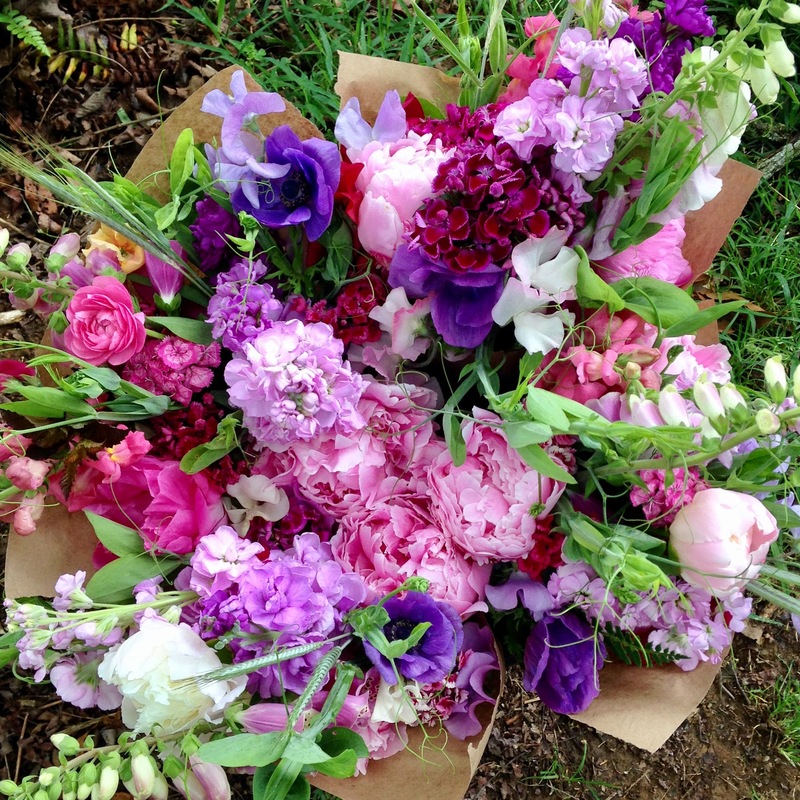 This year we are offering another 10 week flower share running from May 19-July 21. 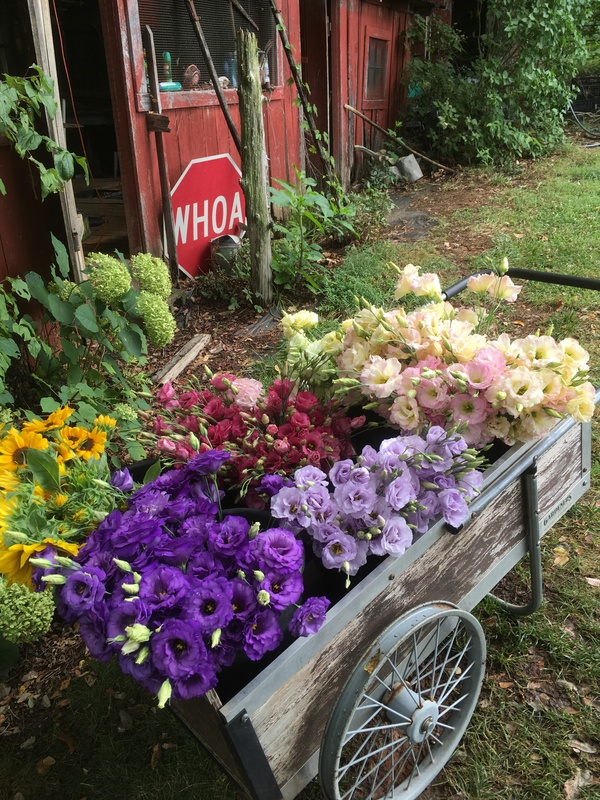 Each week, hand tied bouquets will be available for pickup in Johnson City at the must-visit Reclaimed Inspired Goods during their Saturday business hours (10-4) or at the farm Friday evening. 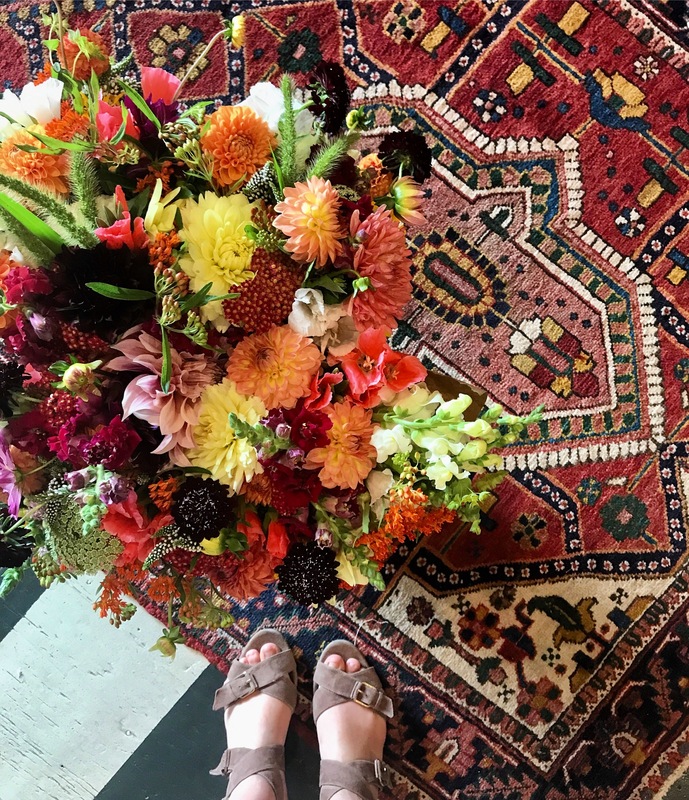 Flower shares provide a unique opportunity to gift someone with beautiful, locally grown and arranged flowers, bringing a bit of our farm into your home or office each week. 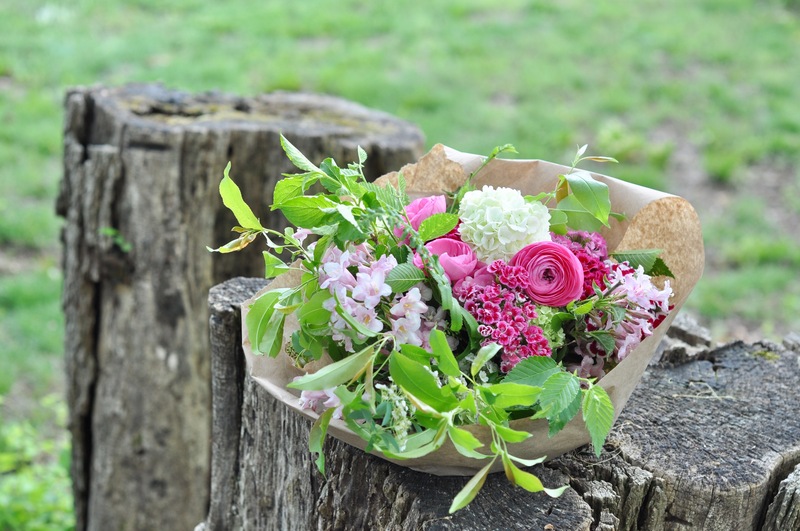 Changing from wild, light spring bouquets to bright, fuller summer bouquets, your hand-tied bouquet will reflect the changing flowers of each season. A CSA customer from last season remarked, “This is why I value CSAs. They keep old farms vital and preserve both heritage and landscape, not to mention community”. Our CSA has afforded us the means to hire on and keep a favorite farm worker Anna McKay who manages the CSA, allowing for the continued sustainable maintenance of a farm that has been in the family for over 200 years. We hope you choose to take part in our growing CSA operation and gift a share to yourself or someone you love, thereby supporting the continued mission of our farm. If you are gifting a CSA Share for a holiday or another special occassion, we can provide a lovely card explaining your thoughtful gift. Just let Anna know and she’ll have a card ready to be picked up at Reclaimed or mailed. If for some reason, you cannot get your bouquet, you can gift that bouquet to a friend who can pick up in your place. Flower shares are limited so act quickly! Last year both CSAs sold out. And just since we posted on social media this weekend we have already sold over half our shares. We are planting seeds now and would like a gauge of how many of these crazy little fellers we need to plant! Transplanting more of these oh-so-good smelling sweet peas into the hoop house today! Thanks, Carole. Hope all is well in your world!